Obituary for Vivian D. Hovatter | Cromes-Edwards Funeral Home & Crematory, Inc.
VIVIAN D. HOVATTER, 87, of Botkins, passed away at 7:10 PM Friday, November 30, 2018 at her residence surrounded by family. She was born on November 22, 1931 in Grafton, West Virginia, the daughter of the late Jesse and Mildred (Rhodes) Goff. She was married to Kenneth M. Hovatter, who preceded her in death on September 14, 2001. Vivian is survived by four children, Robin Ross of Sidney, Reba (Richard) Withrow of Botkins, Lisa (Gary) Shaw of Lexington, SC, Mark (Che) Hovatter of Botkins; ten grandchildren, Shawn, Joe, Robert, Jessica, Rick, Dustin, Aric, Kendra, Kenneth and Kaelynn; and nineteen great-grandchildren. She was preceded in death by daughter, Mildred "Cathy" Bartram; granddaughter, Jennifer Ross; one infant brother, sister, Rhea Knight; and brother, Jesse Goff. Mrs. Hovatter worked as an assembler for the former Copeland Corporation, retiring in 1989 after more than 22 years of service. 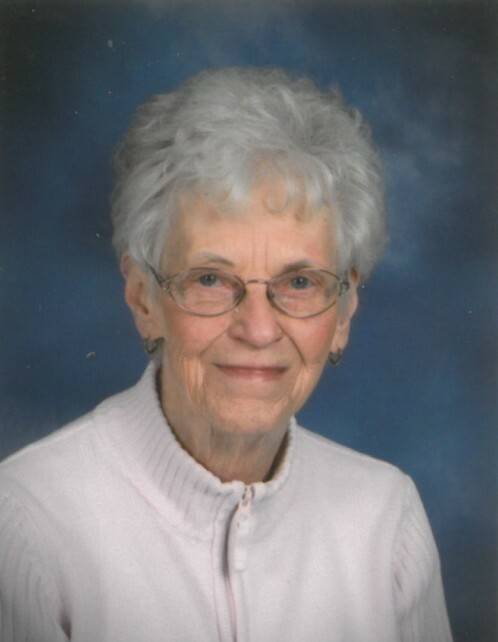 She was a long time member of the Botkins United Methodist Church and was also a member of the United Methodist Women's Auxiliary. Vivian enjoyed playing cards, getting together with friends at the senior center, and most of all spending time with her family.